ONE of the three foreign fishing vessels caught in Milne Bay waters recently was sunk by the Papua New Guinea Defence Force naval boats. PNGDF Chief Of Staff Colonel Ray Numa confirmed the sinking saying it was normal procedural process after the vessel tried to evade the navy while fishing in PNG waters on December 22. Col Numa said the two boats and crew managed to cooperate while the other refused to submit as a result was fired upon and fishermen and all drums containing harvested bechedemer rescued while the boat was left to sink. 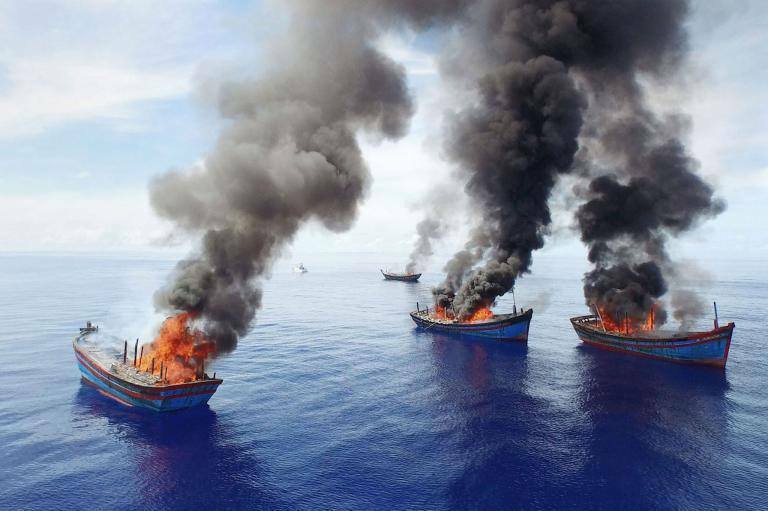 Three of the fishing vessels were caught off Budibudi Islands, eight nautical miles off Milne Bay’s capital, Alotau. Patro Boat HMPNGS Seadler and Australian Maritime Boarder Commander were involved in the capture after local people raised alarm over sightings of foreign fishing vessels. Meanwhile, there was a no show of the 50 Vietnamese fishermen at Alotau court house on December 30, according to court officials. Since the capture, the Vietnamese have been onboard their vessels and anchored outside Alotau.